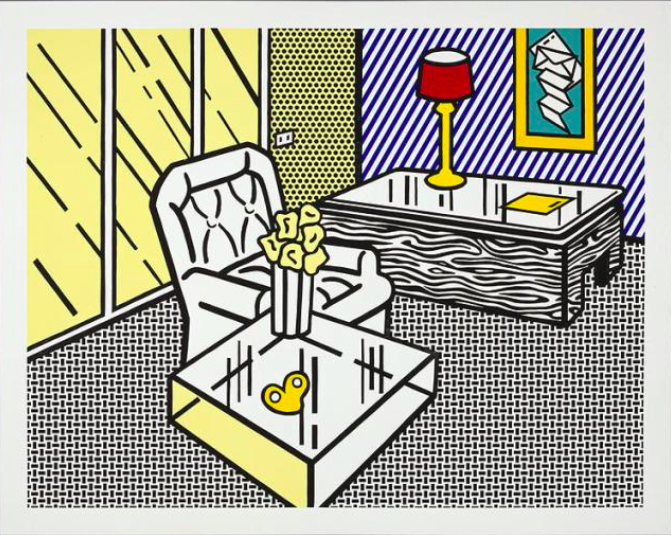 In the Interior Series by Roy Lichtenstein, Lichtenstein integrates the readymade quality of mundane objects while employing a painterly gesture infused with thick contours, bold colors, and flat surface planes. The readymade image of the Interior Series reflects Lichtenstein’s interest in the paradox between fine art and design. Unlike with most print series, the prints of the Interior Series by Roy Lichtenstein preceded, rather than followed, the paintings of similar subjects. 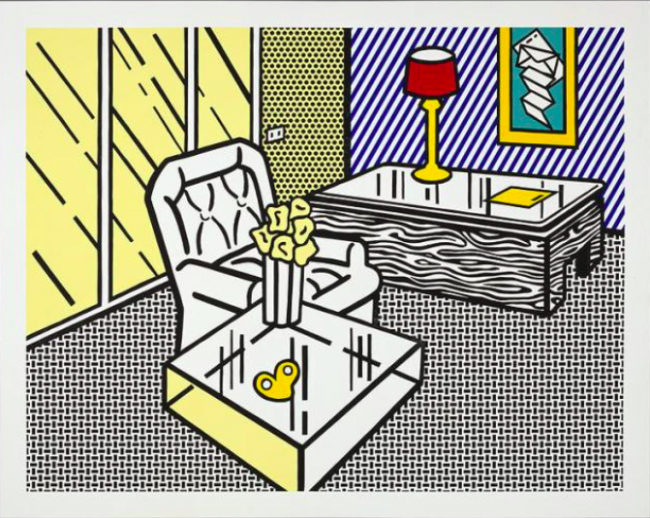 Roy Lichtenstein’s Interiors are based on advertisements, most of which Roy Lichtenstein cut from the Yellow Pages.